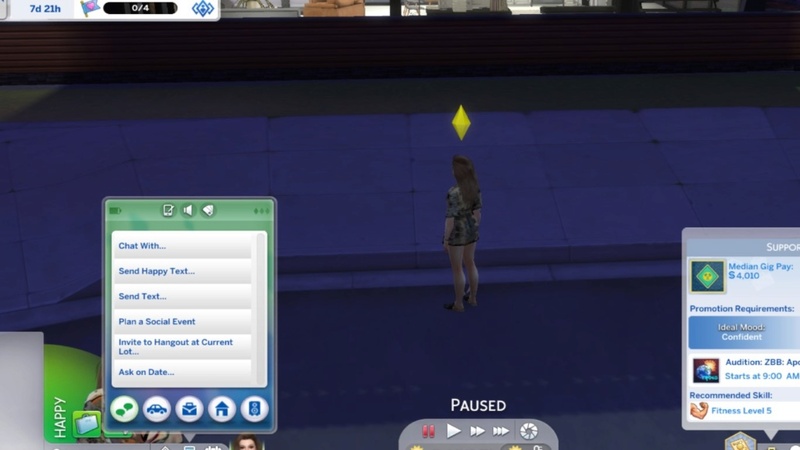 I have updated the Sims 4 and everything works fine except for there are no options for Social Media updates when I open the cellphone. I can't seem to find the options like check social media timeline, update social media status, Check-in etc as well as the positivity challenge. My cell phone only appears options like Chat with, Send text and etc in the social tab. Quick google search says you need social media career or charisma level 5. Hmm, that is indeed weird. Do you not have an option to "Add to Simstagram Story"? From your screenshot it doesn't look like it. I have a screenshot of my sim who doesn't have any charisma, but his phone still has the option to add a story to his simstagram. 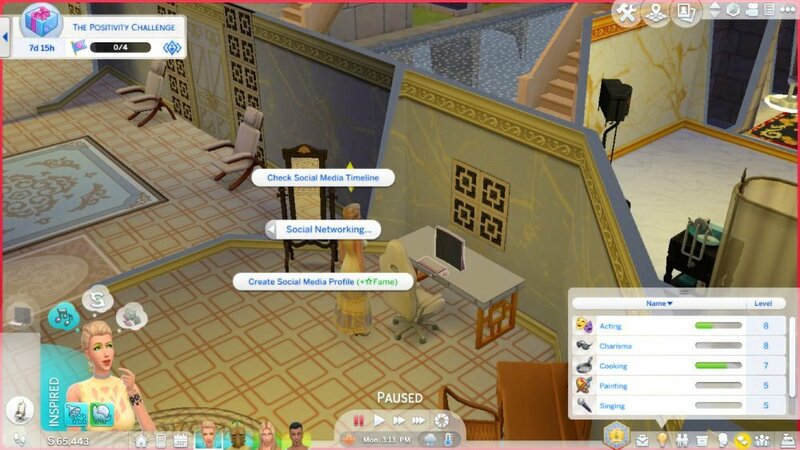 As for Social Media, you should raise your sim's charisma up to 5, and create a social media profile from the computer. Yes, I do not have any of the options in the cell phone, charisma is at level 6 right now, I am only able to update social media using the computer.. Seems like no one has encountered this issue which is really strange to me. Did you see any (+Fame) right next to all the social networking interactions? If that's the case, it seems like your Get Famous isn't installed. I meant to say "if that's not the case..."
Edit: i didn't see your acting career on the right corner there. I'm not really sure what caused your missing simstagram options. Try running the game without mods. I think mods affecting the phone may bug it. Yeah, well, try running the game without any mods. I mean I've got mods in my game all day and everything is still working properly. Do you play mods that affect careers or UIs? If you do, do you update your mods often? WickedWhims is the only script mod that I have and this mod is frequently updated, so that might have to do with it. I removed the mods that might be broken and it works fine now. 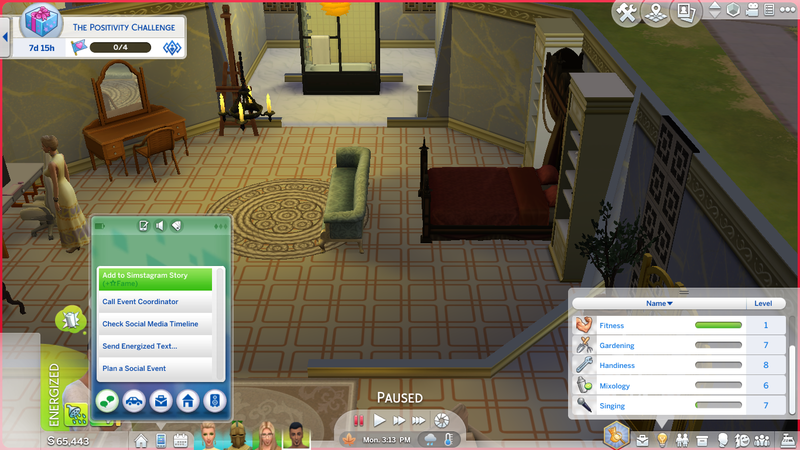 Able to see the simstagram options, thanks!